NHL insider Pierre LeBrun leaks a strong trade possibility for the superstar forward. 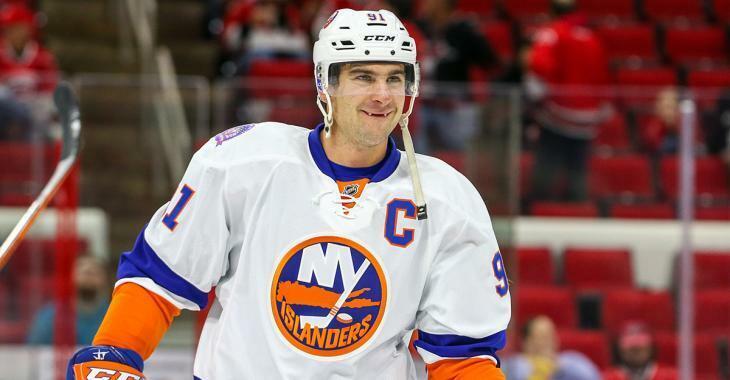 According to multiple reports, Ottawa Senators GM Pierre Dorion took in last night’s game between the New York Islanders and Vegas Golden Knights, leading to speculation that he might be getting a closer look at Isles captain John Tavares. It’s no secret that Tavares could end up on the trade market given that his contract expires after this season. With so much up in the air on the ice and off the ice in Brooklyn, there’s speculation that the superstar could move on for good as a free-agent this summer. But, before that he’ll be a hot commodity on the trade market should be make it clear that he won’t re-up with the Isles. Whether or not this means the Sens make an offer for Tavares or not isn’t clear. But has been confirmed is that the Sens have been in on Colorado Avalanche center Matt Duchene. Talks have slowed down on that front, so could Dorion turn his sights to Tavares?